Pujiang Shunyu Industry and Trade Co., Ltd. 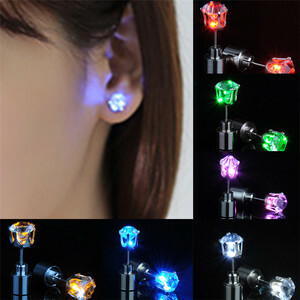 The glowing earrings are perfect for concerts, parties and sporting events. 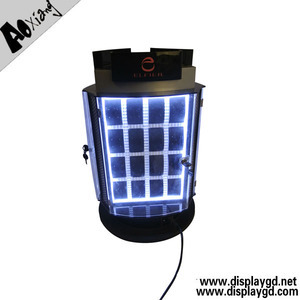 Our main advantages are high quality, reasonable price and timely delivery. (2) If you have received a wrong item, rplacement and refund service will be offered. 2.Q: Any discount possible if I place an order9 A: Yes, we have different price ranges (discounts) based on different order quantities. 4.Q: What about delivery time9 A: Different products and quantities require different procedures and different timing. 6.Q: More information about payment terms9 A: We accept T/T, Western Union for money transfer and cash. 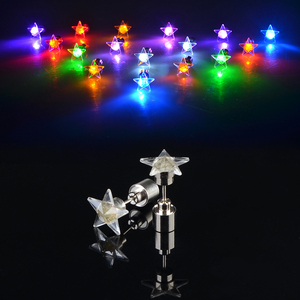 2018 wholesale Glow Party Gifts Light Up LED Earrings Contact us Shenzhen Dasheng Electronic Technology Co. ,LTD contact person : Ms Jessie Whatsapp/Wechat:008613825013736 Let's light up the world together ! 1. Remove earrings back, 2. Put earring on, 3. Insert battery pack into earring post. 3.If any question , please let us know at the first time by email or telephone. Our goal is to be one of the best supplyer of fashion and silver jewelry. 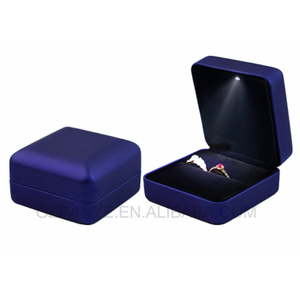 We have experienced quality inspectors to check product, every shipment has the quality report. 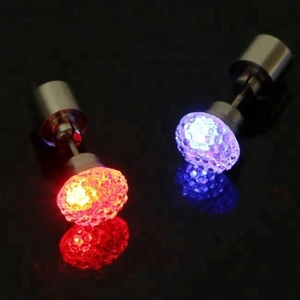 magnetic Red Blue Flashing led Earring 1.with 2pcs. 2mm magnetic piece. don't need Earring hole. 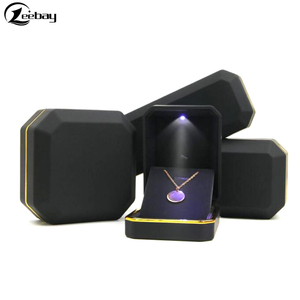 It should be the perfect items for your friends and family. 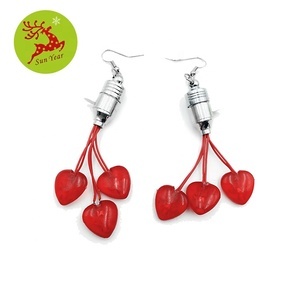 Our Led Earrings comes with 2pcs LR521 batteries installed ready to use. 6. We have got 18 product patents and registered International trademark "GF". 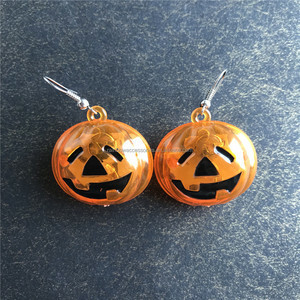 Easy to clip onto shirts, or clip on as earrings, or attach anywhere. 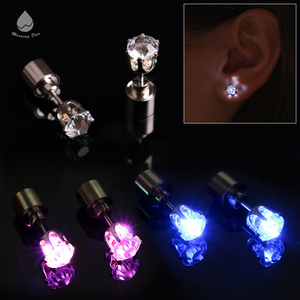 Earrings come in white color and LED lights come in Red and Blue colors. Instruction Simply twist the top of earrings to turn on and off. 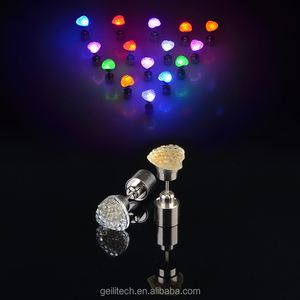 Alibaba.com offers 2,308 led earrings products. About 36% of these are earrings, 27% are event & party supplies, and 2% are silver jewelry. 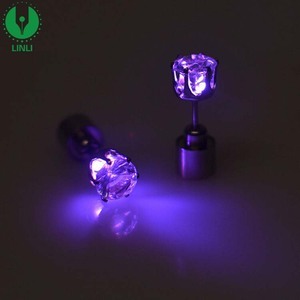 A wide variety of led earrings options are available to you, such as free samples, paid samples. 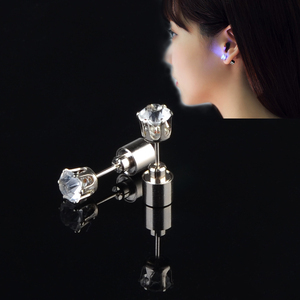 There are 2,294 led earrings suppliers, mainly located in Asia. The top supplying countries are China (Mainland), India, and United Kingdom, which supply 98%, 1%, and 1% of led earrings respectively. 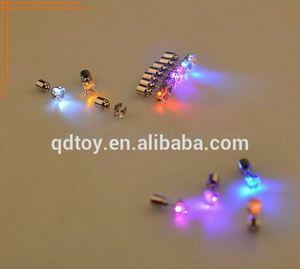 Led earrings products are most popular in North America, Western Europe, and Eastern Europe. You can ensure product safety by selecting from certified suppliers, including 432 with Other, 236 with ISO9001, and 62 with BSCI certification.